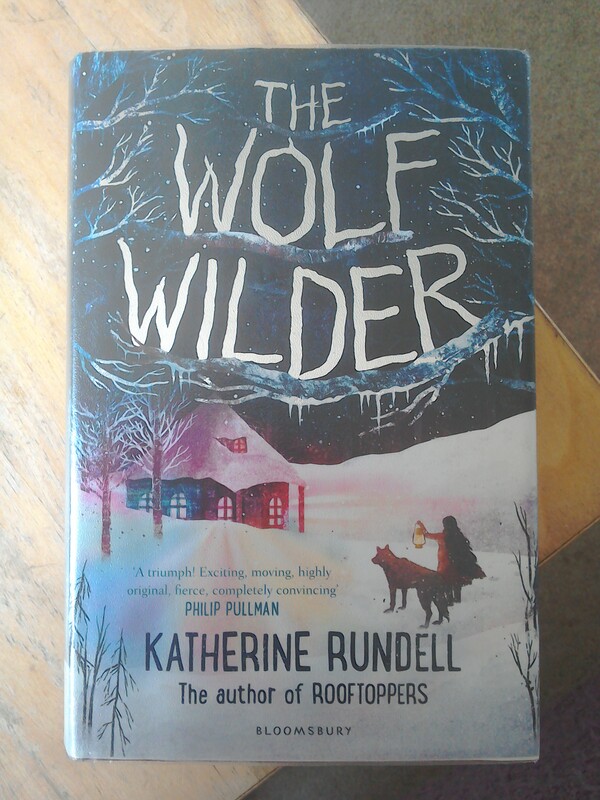 I recently finished The Wolf Wilder by Katherine Rundell, one of my favourite children’s authors. Like Rooftoppers and The Girl Savage, this book is highly original and poetic, with a very driven heroine. Feo helps her mum re-wild the no-longer-wanted wolves tamed as status symbols by the elite of Tsarist Russia. The story takes a treacherous turn when a wolf kills a farm animal. Wicked General Rakov tells Feo and her mum that all the wolves need to be killed – something they are determined not to let happen. Relationships between girls and their mothers are key to the set up in all three novels. In Rooftoppers, Sophie is hunting through Paris in the belief that her mother, declared dead after their ship sank when Sophie was a baby, is still alive. In The Wolf Wilder, Feo is similarly on a quest to St Petersburg to free her mother, imprisoned by the loathsome Rakov. The Girl Savage is different in that Will is not seeking her mother, but rather rebounding from the cruel actions of a controlling stepmother, who has sent her away from her carefree life in Zimbabwe to boarding school in a wet and miserable England, where she is bullied by other girls. All three books laud the spaces outside of civilisation as bastions of freedom and joy, the snowy forests of Russia, the wide open spaces of Zimbabwe, and even the rooftops of Paris. Society, represented by the aristocrats of St Petersburg who treat wild animals as playthings or the oppressive routines of English boarding schools, is seen as crushing to the spirit and innocence of childhood. In The Girl Savage I’m not sure I really buy the message of compromise of the kindly grandmother of Will’s new friend Daniel. It seems a step too far in contrast to the majestic description of Will’s early life in Zimbabwe. It feels rather that British society has failed to make happiness an option for children. What makes all three novels stand out is not only the characters and fabulous settings, but the awe and beauty in the language. ‘Once upon a time, a hundred years ago, there was a dark and stormy girl.’ Like Lyra Belacqua in His Dark Materials, Rundell runs the rooftops of Oxford colleges in her spare time. No wonder she’s a favourite of Philip Pullman. This entry was posted in Blog entries, Reviews and tagged favourite authors, katherine rundell, katherine rundell review, rooftoppers, the explorer, the girl savage, the wolf wilder, ya book review on June 19, 2016 by Steve Griffin.